#1 - They met, love happened, but confession took a long time. #2 - As time dawned upon him, he woke up to reality. #3 - Stride from life to death and billion stories stitched along. #4 - She realized that he was gone but his voice didn't. #5 - How you face the reality is what you truly are. #6 - When everything around was falling apart, she stiffed her grip. #7 - He wanted an ego massage, but her esteem bruised it. #8 - You are as high as you believe yourself to be. #9 - You do not regret when you go by your heart. #10 - Chuck those rules that make you compromise on your existence. Please tell me which caused most impact on your emotions, which post got you thinking and which made you smile. Author's Note: Collection of ten word stories themed on Emotions. The lesser the words, the tougher the task! P.S. : Emotion & Expression is my theme for the A to Z April Challenge. Ah! This is a tough one. .. penning down ten word stories! Disloyalty caused most impact on my emotions. This new style of a collection of 10 word stories weaved into another story is lovely. Gosh, how did you write that? Ananya, sometimes I sit for hours & cannot write a word and sometimes words just flow. I do not have an answer to your question. It just happened. I like the shortest fairy tale that takes into account all of ur emotions written..... "Boy proposes, girl rejects, they lived happily ever after"
This is quite something... 10 word stories. This challenge is springing plenty of happy surprises. Thank you Tulika. 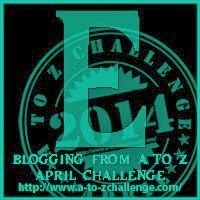 I am also going wow wt all creative bloggers in A to Z Challenge. The first one resonated with me.... It made me think of how long we pretend to be someone we're not in order to get someone to like us... Great theme! Wow, you gave it a new turn and got me thinking.. This is quite some amazing piece of work you've got here... not easy at all!! Amazing post! my personal favorite is number 8... always believe that you set the limits for yourself! Very nice! I particularly liked #5.
brilliant... :-o To write such a small yet intense stories!!! I am moved to know that you found them intense.. Thank you so much Nitya..
#1 and # 10 were grabbers! Great job. #5 for me. Fun post! I chucked a lot of rules that mean compromising my existence/happiness when I discovered Health at Every Size. Now I'm shocked how many people tell my I should go back to being bulimic/starving myself/hating my body. Not listening, I listened to that "logic" for far too long! Such short yet intense stories! !